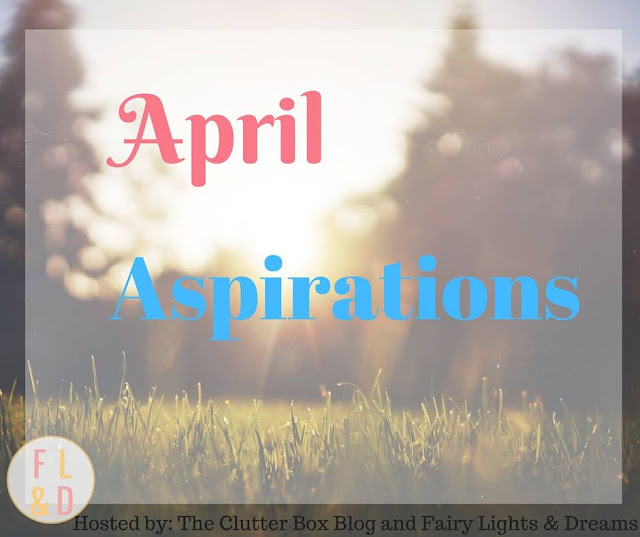 Hey ya'll welcome to the 3rd month of the Monthly Aspirations Link-up hosted by Angela from the Clutter Box Blog and me. The Monthly Aspirations Link-up has been changed to the the first of each month and will be open for two weeks. So there’s tons of time for you to come back and share your goals with us. It’s a safe place to share what you want to accomplish each month. Our goal with his link-up is to support, encourage, and motivate each other. We’d love if you’d share your goals with us and join the party by adding your link below. Thank you everyone who linked-up with us last month. I was very inspired reading your goals and everything you aimed to accomplish last month. A special reginition to Kalyn from Geez, Louise. Kalyn had a lot of big goals over on her blog that really inspired me to aim bigger when it came to setting my goals this month. So thank you for being an inspiration. I'm piggy backing off of my goals from last month a bit by adding on to them. Since some of my goals last month were more a starting point for bigger goals. Last month one of my goals to research some exercises I could do and try to fit it into my schedule. Sadly I didn't really spend much time on this and mapping it all out. So for this month, I'm hoping I could map it all out and start exercising. I've been reading Radical Self-Love and she talks about a technique called tapping or EFT. I've been researching on it to see how it works it's a very interesting way to relieve stress from problems. So I thought it'd be great to give it a shot and see if it works for me. Last month I talked about balancing my blogging, school, and life, which wasn't easy for me. I had so many expectations put into this blog and nothing has amounted to what I wanted to do or planned to do. So I decided to relieve the pressure and go back to the basics on why I love blogging and what makes it enjoyable for me. Hopefully, that brings back the magic.